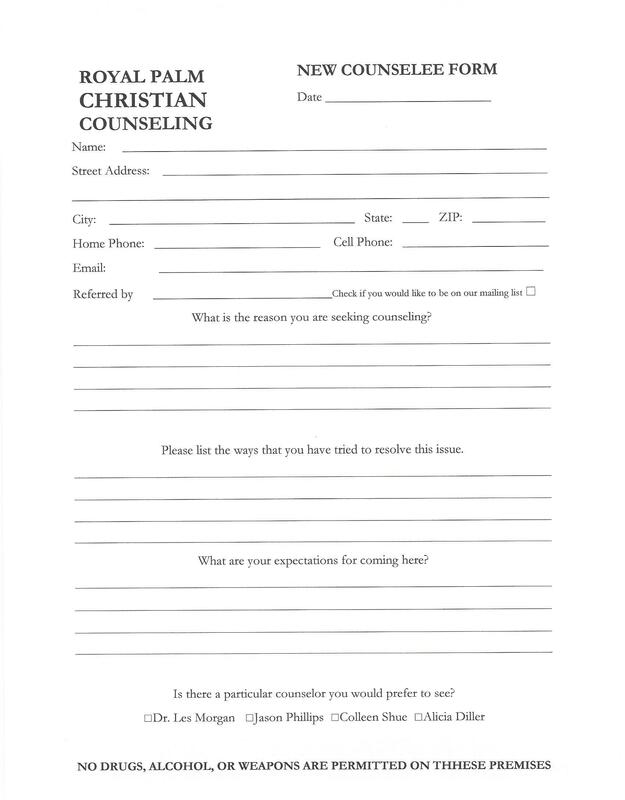 We will need some basic information for your first counseling session and you can provide it to us by filling out the New Counselee Online Form below or by downloading the printable copy to the left and filling it out. If you choose to complete and submit the online form below, we will contact you to set up the appointment when we receive the information. If you do not hear from us within one business day, please call our office at (239) 939-0707. If you choose fill out the printable form, please bring it with you to your first appointment. To set up that appointment, you will need to call our office at (239) 939-0707. Please make sure you also download a copy of our Financial Policy, which is available here. Pressing “Enter” on your keyboard after entering the code will submit the form.